Chalmers Vera Team consists of 15 team members. 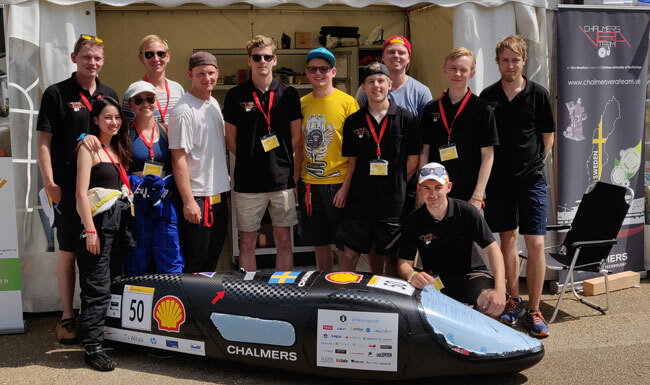 The team members are students at the mechanical engineering, automation & mechatronic, information technology and computer science program at Chalmers University of Technology. The team members run the development of the vehicle. Besides the development work by the team, several projects are run as bachelor and master thesis works. New team members are recruited, primarily from the mechanical engineering program, electrical engineeing program and automation and mechatronic program. If you are a student and interested in joining the team, feel free to contact us or keep an eye open for the next recruiting session.